NEW FACILITY OFFERS REFRIGERATION, BLAST FREEZING AND STORAGE AT THE PORT OF WILMINGTON: Industry experts predict that this availability will convince perishable goods producers to export from Wilmington rather than more distant and costlier ports. Cold Storage at Port of Wilmington helps North Carolina farmers grow export. Agriculture is the #1 industry in North Carolina. Opening of Port of Wilmington Cold Storage is expected to boost North Carolina agricultural exports. The temperatures inside Port of Wilmington Cold Storage (PWCS) may be below freezing, but the demand for cold storage in North Carolina is red hot. PWCS is a new, 101,000 square foot refrigerated warehouse used to maintain specific temperatures for the storage of perishable goods, such as fruits, vegetables and proteins. The warehouse is located within the gates at the Port of Wilmington and is not only the first in-port cold storage facility in North Carolina, but one of a select few such facilities in the entire nation. Cold storage facilities allow companies to distribute their perishable goods locally, nationally, and globally. According to industry analysts, 88 percent of the demand for refrigerated storage is from the food industry, with the remaining 12 percent consumed mainly by pharmaceutical, floral and fur producers that require temperature-controlled storage. Pharmaceutical companies, in particular, are expected to increase their demand for cold storage as they increase production of temperature controlled vaccines and biologic drugs for conditions such as rheumatoid arthritis and Type 2 diabetes. The Port of Wilmington is a major hub for exporting refrigerated and frozen pork and poultry products and other perishable goods, but prior to PWCS, it did not have a cold storage facility, causing North Carolina to lose valuable business. 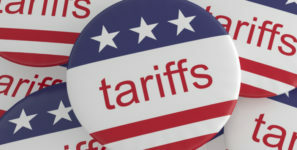 Exporters of perishable goods were forced to look outside of North Carolina for ports with a cold storage facility within or near it gates, such as those found in neighboring states to the north and south. PWCS is expected to provide area food processors with a more affordable way to grow their export business. Hanjin Shipping of South Korea had historically provided shipping services from Wilmington to Asia, but the line declared bankruptcy in August of this year. Fortunately, Maersk Line, already a major player at the Port of Wilmington, quickly stepped in and announced the addition of a westbound service, offering direct shipping from Wilmington to Asia, effective October 8, 2016. PWCS is a joint venture of USA InvestCo, a Wilmington-based real estate development and investment firm, and the North Carolina State Ports Authority. The warehouse facility is wholly owned by USA InvestCo, but the property on which it is located is owned by the ports and leased to USA InvestCo. Total cost for the project was $17.5 million, which includes pre-development, construction and opening operating expenses.